Looking for more exciting spots in Paris? Make sure you get yourself copies of our 2019 INSIDR Free Paris Travel Guides! “Life is drama and drama is life”. Walking down the streets of Paris, you can easily spot some film scene sets! If you are a cinema fan in fantasy-breeding Paris, why not visit the filming locations of blockbusters or famous movies filmed in Paris? Which movies set in Paris? Let’s feel the reality and imagination getting intertwined. 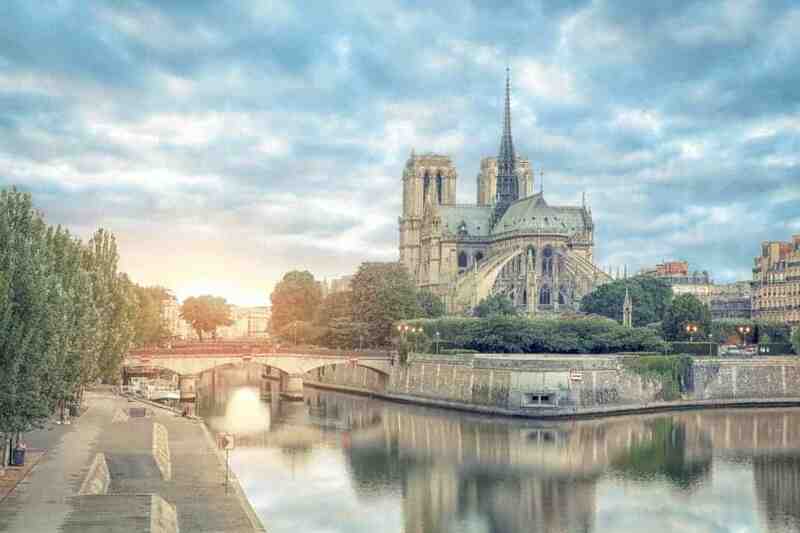 INSIDR reveals 10 must-visit film locations from the best movie scenes for you, so you can explore the alternative charm of Paris. Now, let’s check the locations of the movies set in Paris! This is one of the most famous movies set in Paris. Christopher Nolan spent almost ten years writing the screenplay for “Inception”. It’s one of those films we all must have seen at least once. The film’s cinematography is sublime, and without bias, especially in the scenes shot in Paris. We also can’t forget that the film has some of Hollywood’s best like Leonardo DiCaprio, Marion Cotillard, and Joseph Gordon-Levitt. For your very own Inception experience, head to Pont Bir-Hakeim to see where Cobb and Mal’s romance unfolded. And of course, don’t miss taking some breathtaking photos of the Eiffel Tower which you can perfectly see from under the bridge! Le Café Debussy, the bustling coffee shop in the movie, was just temporarily set for filming purposes. And because it’s been more than 10 years after the release of the film, things have changed. Debussy has been turned into an Italian restaurant called Il Russo! But even so, sitting in this corner of Paris for some good people-watching is still a wonderful thing to do! Movies set in Paris are usually have a little of romance in the movies. This is a story about the two long-lost lovers in Richard Linklater’s romance trilogy reuniting in Paris. In addition to the Seine river cruise tour, the protagonists also went to the enchanting Promenade plantée (or Coulée verte), which is the old train track converted to a park that tourists usually miss! When the weather is good, you may want to go there with your lover and talk about love in the air in the city of Paris! Also not to be missed is Le Pure Cafe located in the 11th arrondissement near Charonne! Come and feel the magical power of this cafe where they had a deep conversation (as usual) while appreciating the very typical French interior decoration! One of the most classic movies set in Paris! Beautiful cinematography…Amélie Poulain, the protagonist of this film is mischievous and weird, yet she lets us experience the dreamy and bubbly side of Paris! The cafe where Amélie worked at in the film, Café des Deux Moulins, has humble and very unassuming interiors that perfectly represent the authenticity of Paris’s 18th arrondissement! In fact, since the film’s release, this place has turned into a must-stop in Montmartre for some Amélie fans. Treat yourself to a lovely crème brûlée while watching passers-by at the terrace like the locals! Otherwise, head to Canal Saint Martin to skip stones while savoring your baguette! Movies set in Paris always promote French culture and occasionally some classic cuisine. Directed by the award-winning director Quentin Tarantino, this film is set in Paris during World War 2. Perhaps what most people don’t know is that most of the scenes were actually shot in Germany. The only scene that was really shot in Paris was at the restaurant Bistrot La Renaissance in Paris, where the protagonist Shóssana comes to have a glass of wine and some cigarettes. Tell you a little secret: the Paris City Council has a special department to help with film productions in the city. The director of Midnight in Paris, Woody Allen had been consulting with this department, and put the name of “Paris” on the film’s title to promote the tourism of Paris! In the film, the protagonist, Gil, and his fiancée went to many famous cultural attractions in Paris, and he was even able to miraculously travel back to the 19th century of Paris! Remember to go to the stairs of St Etienne du Mont‘s church to see if you can also travel back in time! Another heavyweight among movies set in Paris is the Da Vinci Code! The images of Tom Hanks and Audrey Tautou in the crime scene at Louvre have always been impressive. The film also shows stunning shots of the glass pyramid at night. If you are coming to Paris for the first time, the Louvre should definitely be on your itinerary. We also recommend you to visit the Saint Sulpice Church in the 6th arrondissement. This 17th-century church was where Hanks and Tautou finally cracked the code of the Holy Grail. If you’re interested in visiting less crowded Catholic churches in Paris, here is where you have to go! Many movies set in Paris have the elements of fashion, and the background of this movies totally fit on it. The Devil Wears Prada was mainly shot in New York, but because of Andy’s success in her career, she was able to come to Paris for Fashion Week! Who doesn’t want to pose like Anne Hathaway at the Place de la Concorde? She really mastered the French style like Parisians! If you want to develop your own fashion sense, you can visit the fashion museum, Musée Galliera, and think of which fashion accessories to shop! If fashion is not your passion, you can also go for an evening walk around Rue des Grands Degrés and feel the romantic Paris! Angelina Jolie and Johnny Depp starred in the film where suspense and romance are excitingly blended. The film’s success can also be credited to the beautiful locations in Paris and Venice where it was shot! One of the most notable places in Paris from the film is Le Nemours Café where Jolie sat and received the letter. This cafe is just next to Palais-Royal. It is a very convenient location and is just a short walk away from the Louvre. We suggest you go to the cafe’s terrace, where you can take in the beauty of Paris, and enjoy some coffee and croissant as Jolie did. This is one of the movies set in Paris which make another Café become famous. If you love Paris passionately, you would love movies set in Paris. And especially this movie is made for you: it is a collection of 18 short video montages filmed around 18 different areas in Paris! The plots and styles are very diverse, so you can be free to shuffle around the City of Love in just two hours! Many prestigious actors such as Natalie Portman, Julie Binoche, and Gaspard Ulliel have also starred in the film! Let’s explore the Strasbourg-Saint Denis neighborhood for its food and wine, and marvel at the magnificent landmark, the Saint-Denis Arch! Alternatively, you can visit Cimetière du Père Lachaise to pay homage to prominent stars in arts and literature, like Edith Piaf and Oscar Wilde! Directed by the French Nouvelle Vague film director Jean-Luc Godard, this black-and-white film is considered to be one of the most important films in history. It unveils the styles of Paris in the 60s, from Champs-Elysées, Saint Germain, to Montparnasse! The scene where the main actor walked side by side with his lover along the Champs Elysées must be etched in the minds of many Nouvelle Vague fans; although it has now become a giant shopping street, the Champs Elysées is still one of Paris’s iconic sites!